A good reason to feature this slots game is that Silversands Casino is running a slots promotion on Count Spectacular slots until the end of Augut 20015. You will need to be a registered ZAR player to take advantage of this promotion. 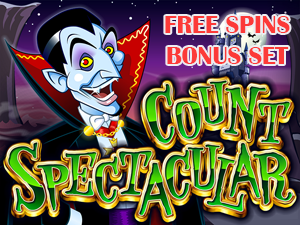 Watch our Count Spectacular video below to see the game in play with the bonus round triggered. This is a fun game with lots happening for optimal excitement. 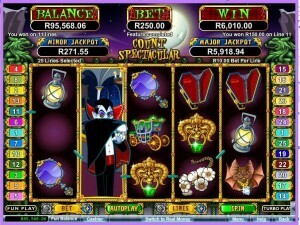 For example, when the feature is triggered you can choose between free spins or respins. 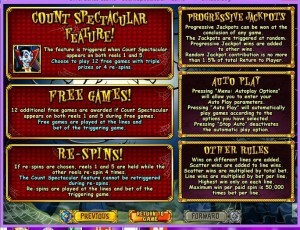 Count Spectacular has both a Feature and Progressive Jackpot. 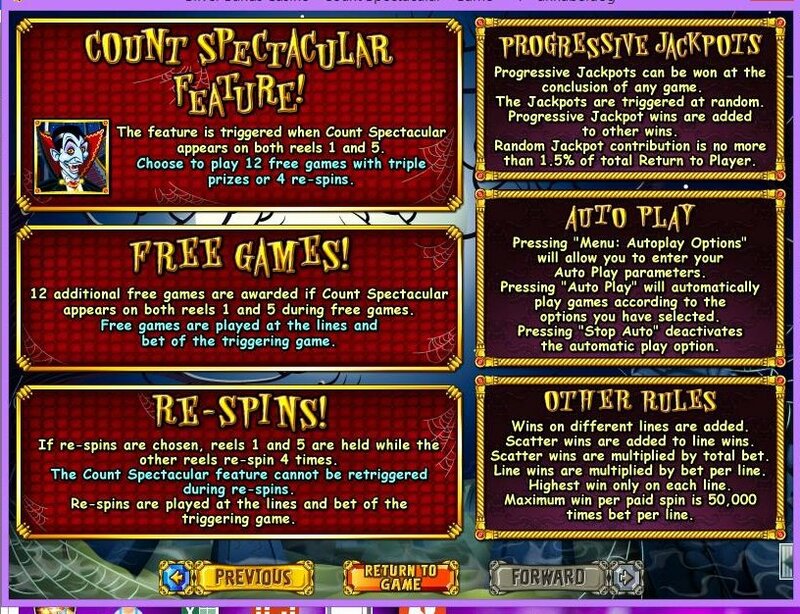 The feature is triggered when Count Spectacular appears on both reels 1 and 5. Free games can be retriggered. 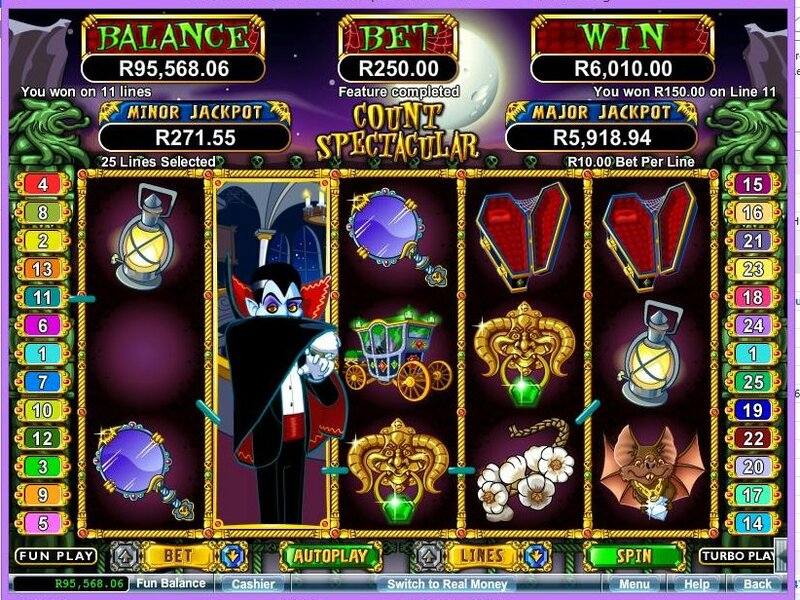 The progressive jackpots can be won at the end of any game and are triggered at random.